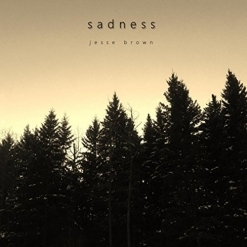 Sadness is a nine-track EP by Canadian pianist/composer/teacher Jesse Brown, who is quickly becoming one of my favorite artists. 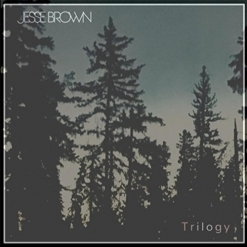 Brown has released two full-length albums plus a few shorter EPs and singles that began with his 2012 debut, December and an “emerging artist” grant for composition from the Saskatchewan Arts Board. Jesse often records on a somewhat “prepared piano” that is lightly muted and allows for the sound of the inner workings of the piano to become an active part of the music. (He has released quite a bit of sheet music and it sounds amazing on a normal piano, too!) In addition to his recorded music, Brown’s transcriptions and compositions have been approved for use in the Conservatory Canada and the Canadian National Conservatory of Music’s examinations. All nine of the piano solos on Sadness are performed on a prepared piano and eight of those pieces are original compositions - the ninth is a jazzy arrangement of “Amazing Grace.” Brown is exceptionally proficient at a variety of music styles, and his versatility really shines on this album. Sadness begins with “Room For One More,” Brown’s loving musical response to the heartbreaking posts a friend has written about her journey with her husband (Chad) and his battle with cancer. This particular post was written about a night in the hospital near the end of Chad’s life. He was awake and alert, and invited his wife into his hospital bed, hence the title. As Brown composed the piece, that particular moment was on his mind and in his heart, and he calls it a musical love letter from Chad to his wife. Jesse has released a second version of “Room For One More” with an added guitar track by Kyle McEvoy. The light and gentle “Ascension” is expressed simply, but with a lot of heart. “California Angels” hints at Erik Satie here and there, with a poignant, haunting melody over an uncomplicated left hand pattern. “Good Winter” lightens the mood and Brown can be heard humming along with the piano in passages. Considering that Saskatoon is in a deep freeze most of the winter, this piece is quite cheerful! It might have been composed while looking out a window while a nearby fireplace fire kept things toasty! The title track is a timeless piece that reminds me of the Albinoni “Adagio.” The simple title says it all. “Amazing Grace” is given a bluesy gospel treatment that suits this classic hymn well. “The Eagle” has a soaring, energetic flow that makes it easy to visualize these magnificent birds. Delicate and light, “The First Snow” works perfectly with the sound of this piano. “While You Lay Sleeping” is as tender as the opening track without the sadness. Overflowing with love, it’s a wonderful close to an excellent album! 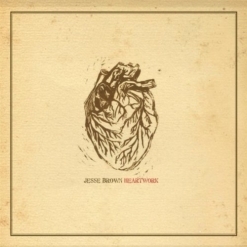 Jesse Brown is an amazing storyteller via the wordless medium of piano music. From fun-filled rags and blues pieces to the most delicate and even heartbreaking outpourings of the heart, Jesse can do it all and do it all well. 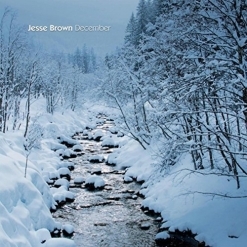 His recordings and sheet music are available from www.JesseBrown.net along with Amazon, iTunes and CD Baby. Very highly recommended!